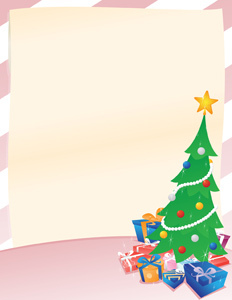 Christmas Announcement — Vector illustration of an announcement, or "flyer" with a candy cane background and sparkling Christmas tree with gifts and presents! Perfect for party announcements, stationary, etc. Light colors are used to save ink when printed! .:. My-Free-Vector-Art.com .:. 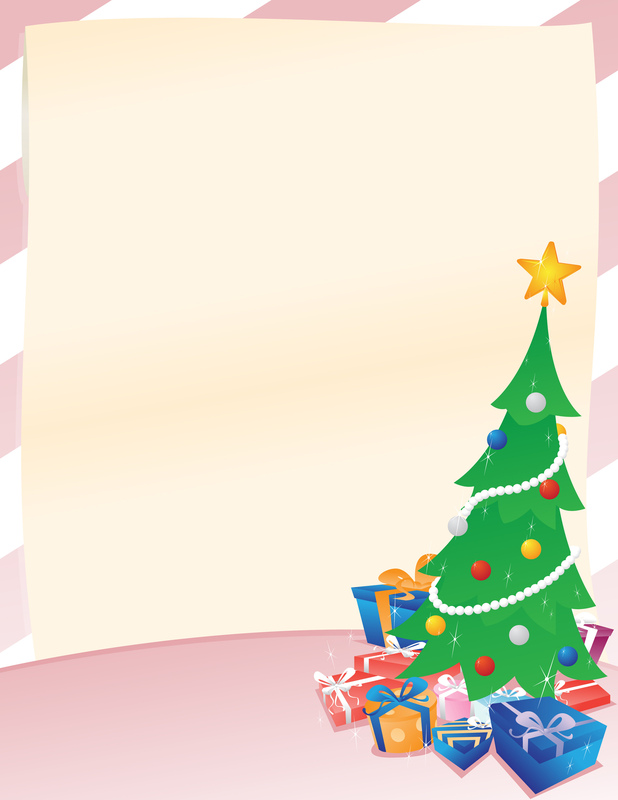 Vector illustration of an announcement, or "flyer" with a candy cane background and sparkling Christmas tree with gifts and presents! Perfect for party announcements, stationary, etc. Light colors are used to save ink when printed!